Every time my tickets arrive in the post I do the standard dance/jig in my kitchen! The view that gives me excited butterflies on arrival! I literally cannot put into words the feeling I get when I'm stood in line waiting to start what I know is going to be THE best day! 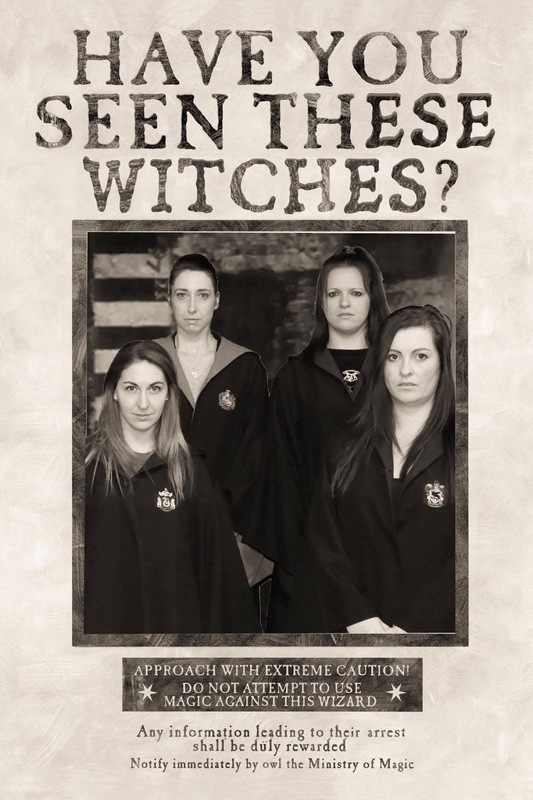 My first visit was in 2014 over Halloween - DARK ARTS! We hired digital guides for this tour and off we went. We had an early tour booked and the studios were incredibly busy. It was completely overwhelming, I wasn't feeling 100% when we got there and the amount of people in the main studio lobby got me panicking. Finally it was time to queue for our tour. I pulled myself together and off we went. When we were let into the cinema area we let the staff know I wasn't feeling 100% and they were amazing. We got sat on the end of an aisle and shown how to get out if I started to panic. 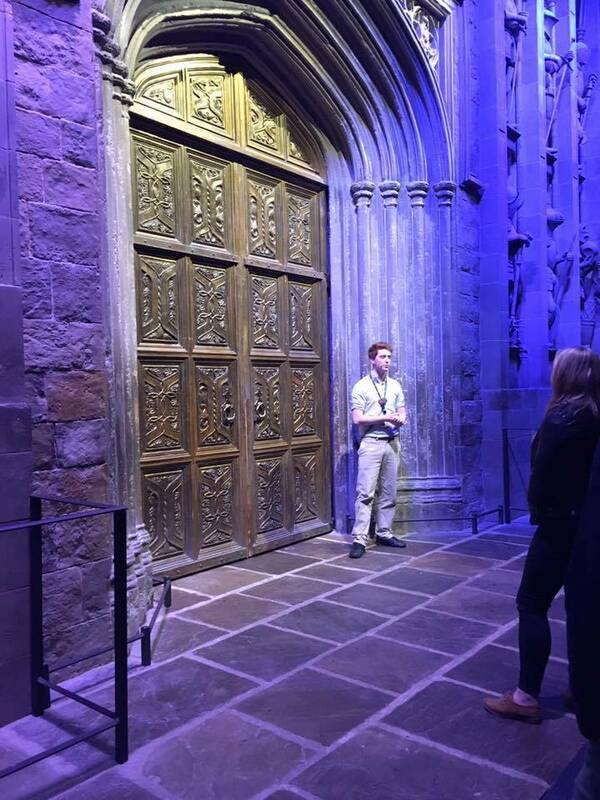 Once through the Great Hall doors and into the tour my nerves started to settle. I got to meet a Death eater, which was totally a highlight of my day! 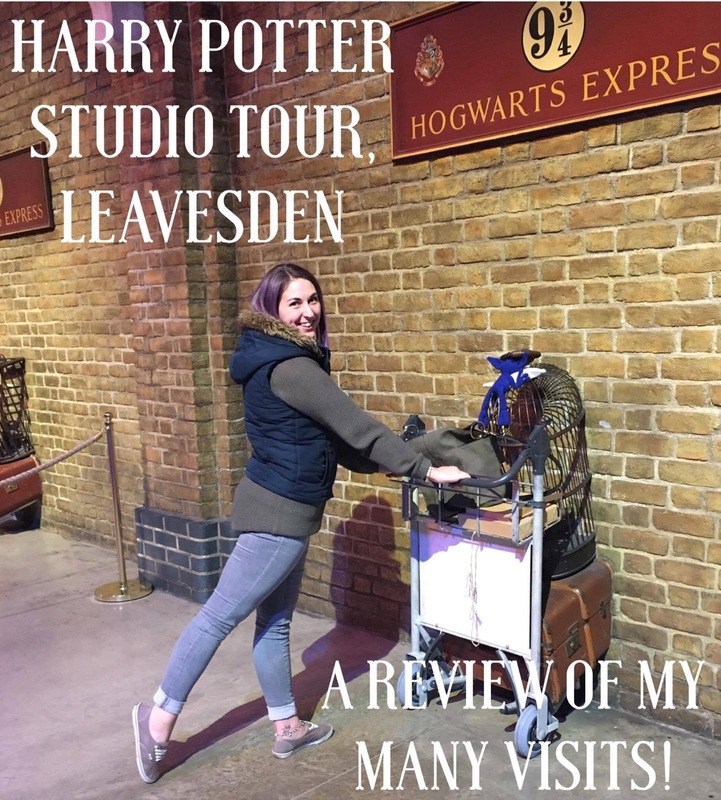 My second visit was in 2016 on my 29th Birthday. We had a late tour booked about 4.30pm and the tour was amazingly quiet. They have so many props they even spill out to the front of the studio building! As it was my birthday, I got to be one of the "chosen ones" to open the doors into the Great Hall and kick off the tour! I have opened the doors twice whilst visiting on my birthdays! This is totally one of my favourite sets. The potions classroom is mesmerising. 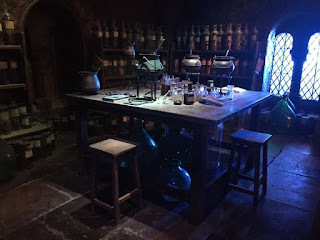 Every potions bottle has a hand written label, the stirrers in the cauldrons stir themselves and of course an iconic costume of the great Professor Snape! 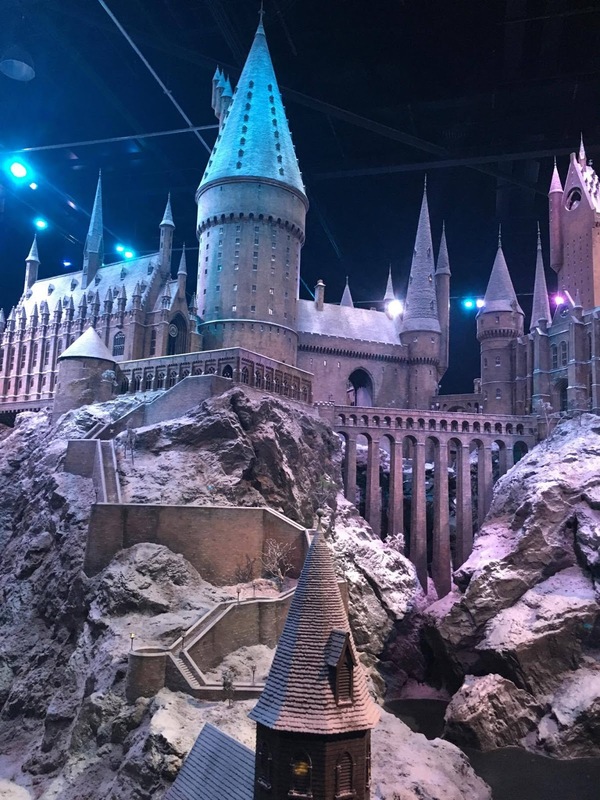 The iconic Hogwarts Castle that literally takes your breath away and can make the iciest of people defrost! Malfoy Manor is awesome! They have it set up as it was used in the movies. All I will say is look closely and you can see some awesome little details! My third visit was in 2016 during Hogwarts in the snow. We had booked a mid-morning tour of around 11.00am, it was reasonably busy. The Christmas tree in the entrance lobby was incredible! Everywhere you looked they had decorated in Christmas decorations. 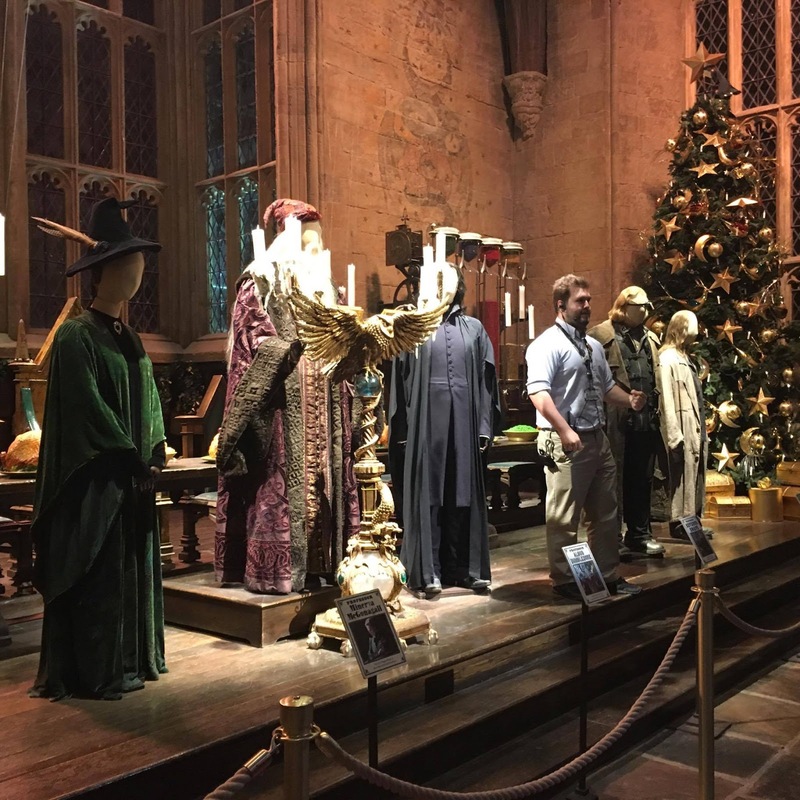 It honestly was the same level of Christmas magic as we experienced in the Potter films! The Great Hall looked stunning all decorated for the Christmas period! On this visit I took my homemade friend Frankie. Frankie is my Cornish Pixie I created and made who I am sure I will introduce you to in a soon to come blog post. 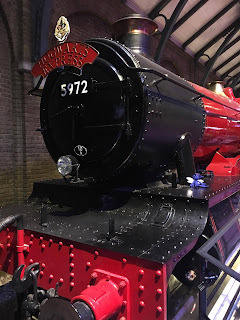 If you look carefully at the photo below you may be able to spy Frankie on the Hogwarts Express. As always walking around the corner to see Hogwarts Castle was epic, however this is the first time I have seen it covered in SNOW!!!! Oh my days! It was beautiful! 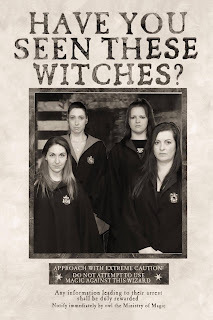 This is something I would recommend anyone to go and see, Potter fan or not! We had to ask one of the knowledgeable staff on the tour, how on earth do you get the snow off afterwards? The answer... lots of people with hoovers! Weirdly, I hate using the hoover in my own house but would happily sit and do that job for hours! My fourth visit was in April this year for my 30th birthday! We again had a morning tour. We decided to do the shop first before the first tour of the day came out resulting in us being some of the only people in the shop. I've never seen it so quiet! Once we finished our shopping we had time to drop our bags and coats into the FREE cloak room and grab a drink from Starbucks! 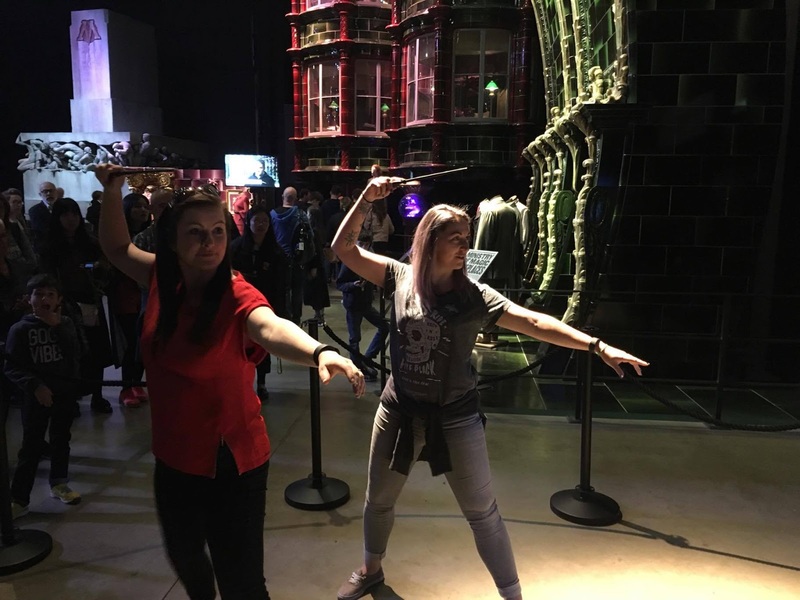 On this tour we got to have a bash at Wand Combat lessons! This was really fun! 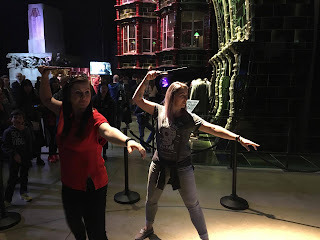 As you can see 2 fully grown adults had fun yielding wands at a computer screen. I giggled like an idiot for a good 15 minutes following our training! I have so many of these iconic photos! 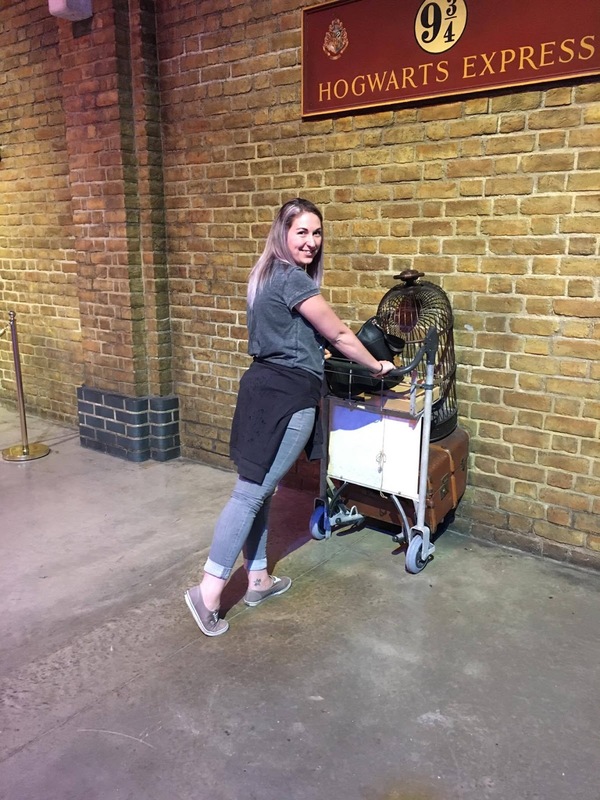 You simply cannot walk past Platform 9 3/4s without posing at the trolleys! 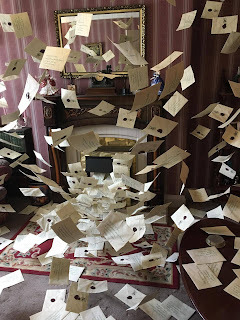 This was also my first visit when they have had 4 Privet Drive open! 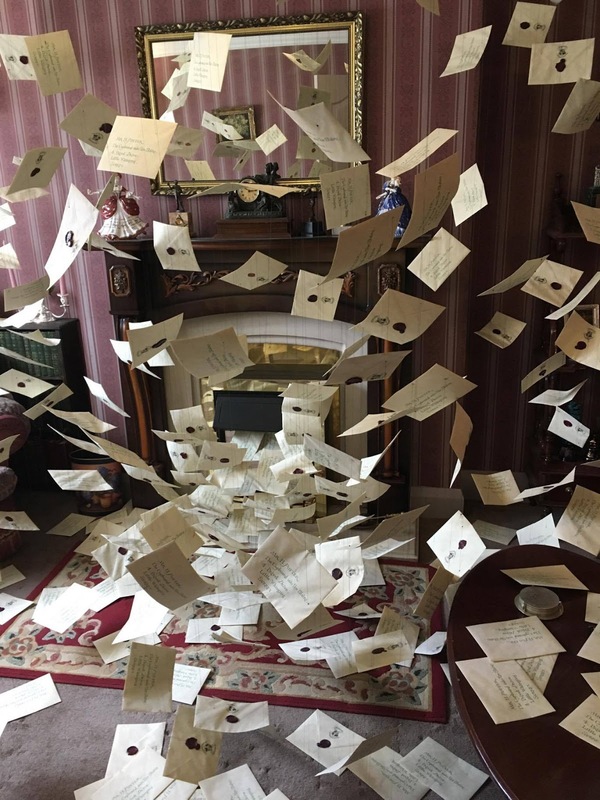 I really cannot describe how cool the Dursley's living room is with all those incredible letters flying around. When I say flying I mean suspended, dead still! 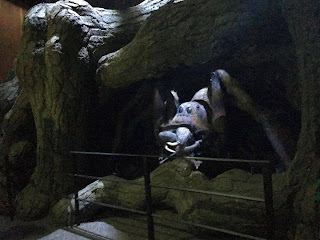 I have only included one photo of the Forbidden Forest as you need to experience this for yourself! Do not worry if your scared of spiders. Myself and the friend I was visiting with are petrified of spiders. We were in such awe of the set that we totally forgot! The spiders are not too close to the visitors either which was cool. If you honestly don't think you can handle these 8 legged beasts however you can take the short cut through the forest to avoid the creepy crawlies! Booking to attend the tour is dead easy! 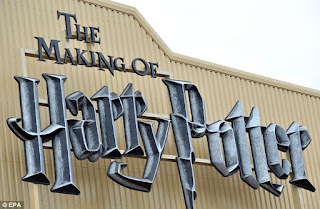 Hit up their website - www.wbstudiotour.co.uk and book your tickets now! Tickets are in my opinion an amazing price - £39.00 per adult and £31.00 for children. There is the Studio café on arrival in the large foyer/waiting area along with a Starbucks (which is my first port of call every time I get there) Both of these are reasonably priced. Halfway through the tour is the Backlot café which serves hot and cold food. I have eaten here twice and the food is really lovely! Also in this area you can purchase your Butterbeer and Butterbeer ice-cream. Now I don't like fizzy drinks so avoided the Butterbeer, however everyone I've been with have been split (bit like marmite I suppose). The ice-cream on the other hand is to die for! It had just been released before my 2nd visit. I've had a cone on the last 3 of my visits and have practically inhaled it every time! 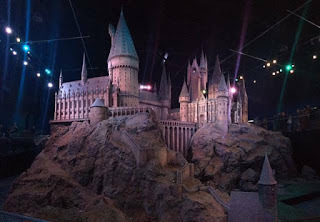 Is outdoors, take as much time as you did in the studio to appreciate the sheer scale of some of the sets and props! From the Knightbus, 4 Privet Drive and Hagrids motorbike to the full size Chess Pieces and Godricks Hollow! Literally has everything you could imagine! 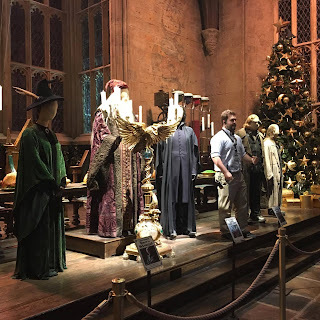 Wands, chocolate frogs, books, props, clothes, homewares and much much more! Save your pennies up as it is AMAZING! This is something I tried out on my last visit. We had got to the tour early so had a wander around the shop while it was still really quiet. Once we had done our shopping etc we were going to nip it back to the car but decided the cloak room would be better. I didn't realise this service is FREE! I will be using this service on every visit from now on! I tried on the digital audio guide on my first visit to the tour. This was a really cool extra for our first visit. Loads of awesome snippets of information and facts that I would definitely have missed if I hadn't had it. These are £4.95 per person. Again I bought one on the first visit and loved reading through it when I got home and finding out lots of different bits of information I had either missed or forgotten. They released a new programme this year which I also purchased with the new sets added in. These are an additional £9.95 and can be purchased with your tickets when you book. I always see people asking about the Green Screen area! 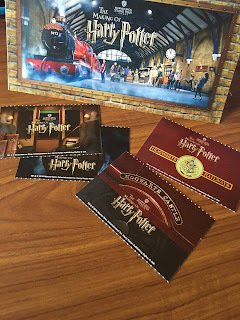 In December 2016 and April 2017 these were available along with lots of variations of the photos and a chance to get your Broomstick ride on a DVD or USB stick! There are also photo opportunities at Platform9 3/4s and on the Hogwarts Express set! My next visit I'm hoping to attend the over the DARK ARTS period! I'm sure ill let you know all about it! 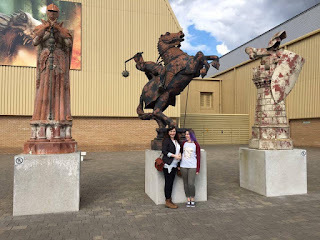 On April 23rd 2016 Myself and a few friends were at the Warner Bros Studio Tour celebrating my 29th birthday. It was during this visit that my 30th birthday theme was decided! 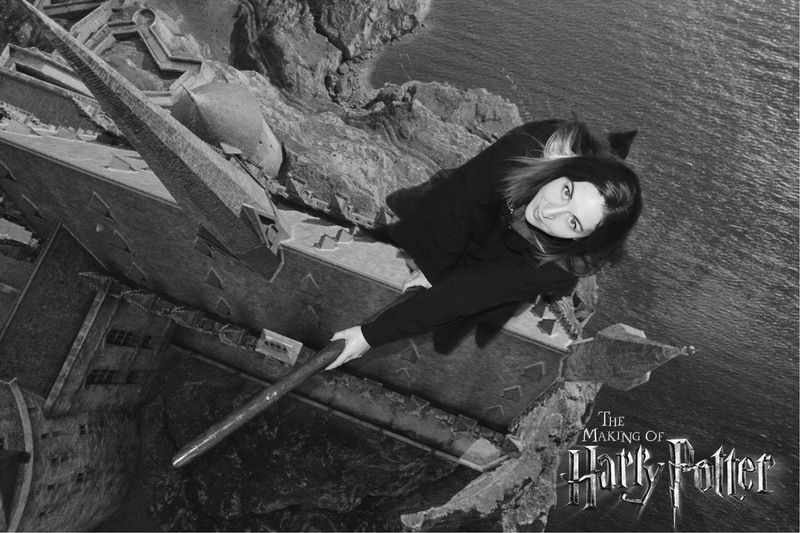 How could it be anything but Harry Potter?! 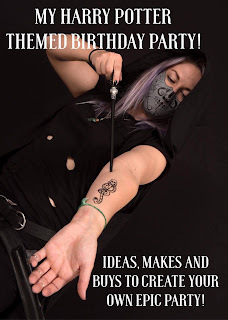 So it was a few weeks later I started to put my birthday party ideas together as I wanted it to be BIG! 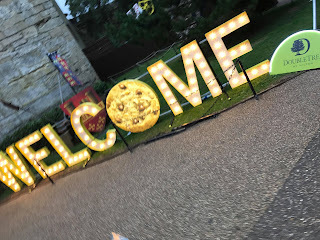 From cakes, costumes, sweets, food and decorations I hand crafted my party with little bits of help from my friends and family! I have popped my photos and descriptions of how I found and made each section of my epic party! Hope you enjoy and get some ideas of your own! I bought a large section of thick red fabric from the local material shop and painted on my bricks with children's white poster paint. Once we had hung it on the main doors at the party we cut a split straight up the middle to create an awesome entrance! The platform sign I found on google images, once enlarged and printed I popped it on some cardboard and painted in with bronze acrylic paint. I booked tickets for myself and my friend about 3 months in advance, rather good job as this event sold out QUICK! Booking the tickets was made simple by the awesome Luna Cinema website which was easy to follow and easy to use. Mode of Travel: walking with a tube journey (tube card required). Duration: approximately 2.5 hours. Cost: £14 and £12 for kids aged 11 years old and under. Language: All tours are in English. 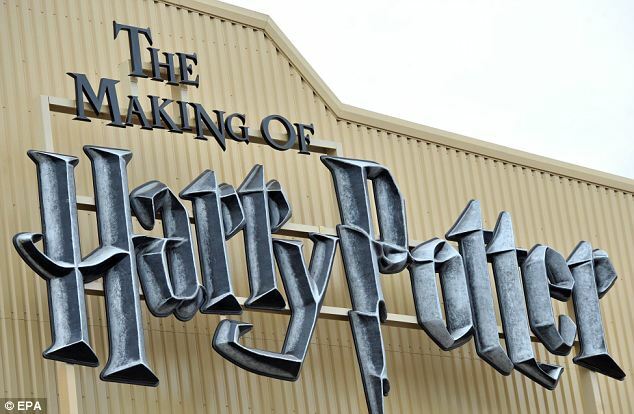 Capacity:20 muggles per tour. 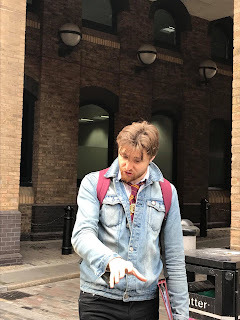 We booked our tour online about a month before we were due to go to London. The website was easy to use and I managed to book very quickly. I received a booking confirmation email. Followed by a second email the day before the tour stating our guide, a contact telephone number and all information we could possibly need. The last email came after the tour on the same day, thanking us. I found this very attentive and bloody useful for someone like me who easily forgets bits and bobs! Myself and my friend Stacey arrived at the meeting point (which was dead easy to find) at 10.50am. Our tour was scheduled to start at 11.00am. The guide Joseph Lockhart arrived at 10.55am and was easy to identify and find.